In Kotagiri Public School, the curriculum has been so framed, that the individual child is the core of the whole programme. An atmosphere of relaxed, easy human relationship between the children and the teachers pervades the class room. The children are encouraged to get involved in the exciting adventure of learning experience through discussion, enquiry and experimentation. The academic year, during which the children are resident and in attendance at the school, extends normally, from May to April. The School is closed for the vacation twice a year for 5 to 6 weeks in December / January and April / May. The school prepares students for the All India Secondary School Examination and the All India Senior School Certificate Examination of the Central Board of Secondary Education. 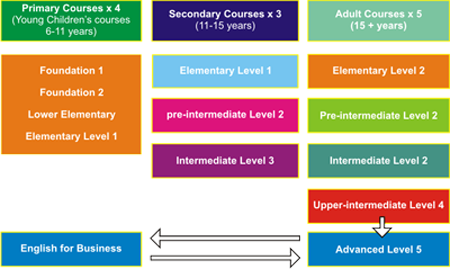 Graded courses of study, spread over a period of thirteen years, are prescribed, from the Kindergarten to the Higher Secondary Classes. The Medium of instruction is English. At the second language level, the school offers Hindi, Tamil, Malayalam and French as alternatives. At the third language level Hindi, Tamil, Malayalam, Kannada and French are taught. The School offers the following subject combinations and the student must choose one of them. Continuous and Comprehensive Evaluation is done throughout the year as per Central Board norms. Grades are awarded. Students are graded in everything they do. For Std. X there would be no board examination. Those children wanting to do an examination at the Std. X level could do an on-line pen and paper examination. However, the Board Examination for Std. XII takes place at the end of the academic year. Formative Assessment consists of Projects, Quizzes, Research Work, Assignment, and class interactions. Summative Assessment consists of multiple choice questions (MCQ), short answer and long answer questions from the portions of that term. The same system will be followed for Class X in the next academic year. There will not be any Board Examination for Class X. On the other hand the passing of Class X depends on the Continuous and Comprehensive Evaluation records. If after the Class X level, a student is seeking admission to Class XI in a CBSE school this record is sufficient. However, if a student wants to go to another Board, he or she should appear for the on-line pen and paper examination at the end of Class X. The board examination will be held at the end of Class XII. Individual attention is given to each child and his/her progress assessed. Special coaching classes are arranged wherever necessary. The School offers the Oxford Language Programmes that are designed for different age groups by Oxford Language Centre, U.K., which is an International Examining Body.